Salmon nutrition is listed in every super foods book, in nutritional literature, and is strongly recommended by food experts. Salmon is one of nature's most magnificent creations. Not only is wild caught salmon delicious, it's one of the most beautiful fish in the ocean. The term salmon actually refers to a species of fish under the term salmonidae. Subspecies of salmon include chinook, chum, coho, silver, and sockeye. Salmon is Nutrient Dense and Contains a Superb Array of Nutrients. Salmon contains Vitamins B-6, B-12, Vitamin E, Omega-3 fatty acids, pantothenic acid, niacin, thiamine, selenium, folate, potassium, phosphorus, riboflavin, magnesium, and is loaded with protein. Salmon is a complete source of EPAs (eicosapentaenoic acid) and DHAs (decosahexagenoic acid), which are brain and heart protective. Chinook salmon has twenty-one milligrams of omega 3s, which has been proven in studies to reduce the risk of Alzeimer's Disease. Salmon is one of the main foods listed on our super foods page. Salmon is an outstanding source of easily digested protein. Wild Atlantic salmon contains 16.9 grams of protein per 3 ounce serving. Sockeye salmon has the highest concentration of protein at 18.7 grams per 3 ounce serving. There are many benefits of eating salmon, but the first thing you will notice is a dramatic change in the texture and tone of your skin. Salmon gives your skin a beautiful glow and softens its texture. Salmon makes your skin look super young and gorgeous, and sockeye salmon, in particular, brightens your skin and gives it a golden hue. Dr. Perricone's research demonstrates that DMAE in fish causes the collagen matrix in the skin to firm up. DMAE stabilizes cell membranes and protects them from free radical damage. Studies published by the Journal of the American Medical Association show that people who eat salmon have a 70% reduced risk of heart disease. Salmon nutrition is excellent for heart health because it prevents the inflammatory response that's associated with heart disease. Salmon contains a powerful antioxidant called (DMAE) dimethylaminoethanol. DMAE is found in abundance in both fish and salmon. DMAE dramatically improves brain function in older adults. Your brain thrives on fish. Salmon and other fish are recommended on our Alzheimer's prevention page for optimal brain function. 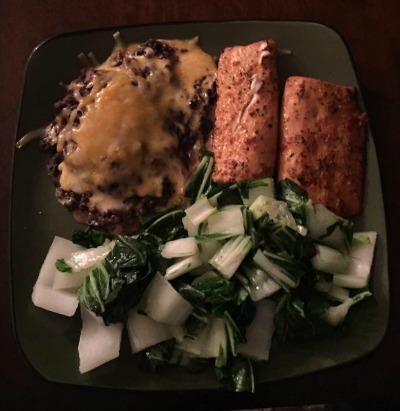 Below is a picture of sockeye salmon, black beans and bok choy. This delicious sample meal was submitted by one of our visitors. This meal is an ideal example of our hair loss diet meal planner. At The Healthy Diet Paradise, our hair loss diet visitors are highly encouraged to eat wild caught salmon several times a week to promote thick hair growth. Salmon is an easily absorbed complete protein that speeds hair growth exponentially. We highly recommend wild caught salmon for our hair loss diet meal planner. Have you ever seen the coat of a big burly bear that eats salmon? They have heavy, thick, shiny coats. Salmon does the same thing for humans. Salmon increases the diameter, weight, and thickness of the hair shaft. Salmon and eggs are two super foods for your hair. Salmon nutrition and eggs combined dramatically increase the thickness of your hair. Salmon nutrition increases Vitamin D levels in your system. We've linked low Vitamin D levels to hair loss. 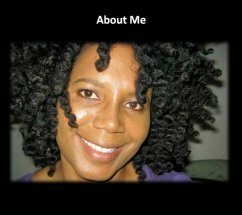 Read How Wild Alaskan Salmon Rocked My Locks and Changed My Life. Farmed salmon is very tender, and it's tasty, but looks are deceiving. Farmed salmon is fed pellets that give it a dark pink color. If pellets were not fed to farmed salmon, they would have a dull gray color. Not very appetizing. Most restaurants use farmed salmon unless otherwise indicated. A lot of people don't like the taste of wild salmon, so restaurants don't serve it. Here's a rule of thumb: If the salmon you're eating doesn't have a strong sea odor, it's farmed. Wild Alaskan Sockeye salmon is the most prized wild caught salmon. 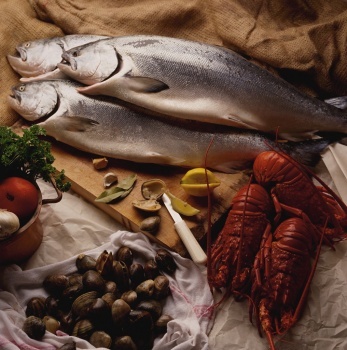 Of all salmon species, it has the highest concentration of Omega-6s and Astaxtanthin. The phytochemical Astaxtanthin is what gives sockeye salmon a deep, rich red color, Astaxtanthin is a very powerful antioxidant that has been scientifically shown to reduce systemic inflammation. Wild salmon has a tougher texture because it has to swim and fight for food. Farmed salmon that are kept in pens barely have room to move around which keeps the meat tender. Wild Sockeye salmon eat a nutrient rich vegetarian diet which makes them far less prone to consuming pollutants. Of all the fish consumed, sockeye is the safest. Sockeye is also available canned and frozen. Canned wild salmon has the same nutritional value as fresh. Note: The majority of canned salmon is wild caught. The Journal of American Medical Association states that contaminants in salmon and fish are very low; similar to meat and dairy. They also state that the health benefits of eating fish far outweigh any issues with contamination and should not influence whether you consume it or not. The Healthy Diet Paradise buys from Vital Choice Seafood. Vital Choice delivers high quality premium wild Sockeye Salmon and sea food directly to your door. Click here to order Vital Choice Salmon & Seafood.